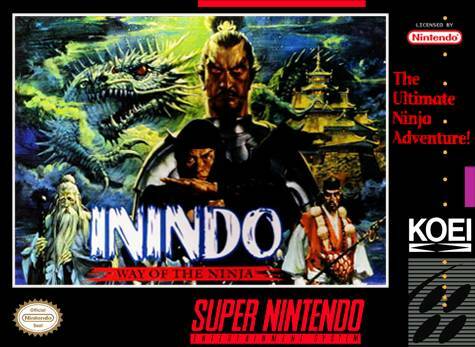 Inindo: The Way of the Ninja for Super Nintendo has you travel throughout Japan learning Ninjutsu, the art of stealth fighting after the powerful Nobunaga set your village ablaze. Use a variety of weapons to face more than 100 monsters. 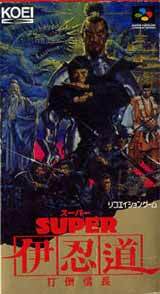 When the time comes, gather information from enemy camps, and then burn them to the ground. As you gain power, you will be able to gather an army and lead it against your rivals.